hi everyone, got a question that I'm hoping you can help with (and also thought it was time for a giveaway)...this one is for those of you who've bought a journal from me in the past or thinking of purchasing one in the future. Which do you prefer? The old size that I've been making the journals in (approx 6"x8") or the new size (4"x6")? Shipping cost has increased again at the post office and so I was trying to decrease that cost as much as I can for my customers. It's not a big difference in shipping cost between the 2 sizes for Canadian & US customers but it's double for my international customers. I personally like them both. The smaller size is great as an alternative or when there's a theme (like the love you & destination ajs) but for general random art journaling, I think I like the slightly bigger size bc it gives me a bit more room for journaling, etc. So what do you think? Leave me a comment by Sunday evening and I'll pick a winner on Monday April 18 to send $20+ of Evalicious embellies to:). FYI: the 2011 Christmas aj will continue to be 6x8. I might do a few that are even slightly bigger. I like the 6x8 size because it fits both portrait and landscape 4x6 photos easier. I have printed smaller photos before, but it takes more work and I'm more likely to get it done if I can just print 4x6s. I love the 6x8 size. You can add much more embellishments or journaling, and use 4x6 pictures or a couple of smaller ones. Love all of your journals. I like both but prefer to work with the 6x8. More room to add things. I think both are nice but would go for the 6 x8 each time if I could. It is bigger and just easier to fill. That is tough because I love every single thing that have bought from you. If you twisted my arm and I had to pick, I would go with the 6x8 so I can journal more and use more embellies. I like both sizes. 6x8 is great for a album that I want to use 4x6 photos (that is the easiest) but I love wallet & instax so a 4x6 would be fun too. I haven't purchased an AJ yet - but I think I would probably prefer the 6 x 8 as well, but I am in Australia so it would depend on how much the shipping is. I like the 6x8 because I can use 4x6 photos in it. I don't have a printer at home for printing my own photos, so this is the best option for me. i really like your 6X8's. i do sympathize though with the people that have to pay double shipping costs! I was going to say I like the 6x8 due to the picture size I use (usually 6x6, which I punch holes in and just stick in the journal randomly), but I think I could make 4x6 as well. My only thought is that with a 6x8, the journal wouldn't be as thick. I'm thinking 4x6... I'm going to cram that thing full. I'm open to either and don't mind paying extra shipping for 6x8. Your journals are a treasure. 6x8! i like having more room to add stuff! I've purchased several journals from you, and I prefer the 6x8". It allows for a regular 4x6" photo plus journaling and embellishments. I haven't bought a journal from you yet but I think I would prefer the 6x8 size as I like to journal a lot. Love both...prefer 6X8 as it lets me have 4x6 directly with little cropping. Love having the holiday journals in 6X8 to add more stuff and then love having some others smaller to mix it up and have variety. Whatever you do...love it. I love the smaller ones best. But I only make themed art journals and use instax mini photos which fit perfectly. But when I have some bigger pictures then my fuji instax mini ones I think the 6 x 8 better. And I think most people use 4 x 6 photos so I think those are more easy in use for most people. I like both sizes, but I prefer the smaller one. I love the 6x8 journals; not too big and not too small. The best part is you can always create the 4x6 journal pages/photos and include it. Either way, I LOVE-LOVE-LOVE your journals! I agree that 6x8 is better. I dislike 4x6 because if you use a 4x6 photos, that's pretty much all you can put on that page. as an international customer I would say that the costs for shipment are less important than the reason for making a journal. 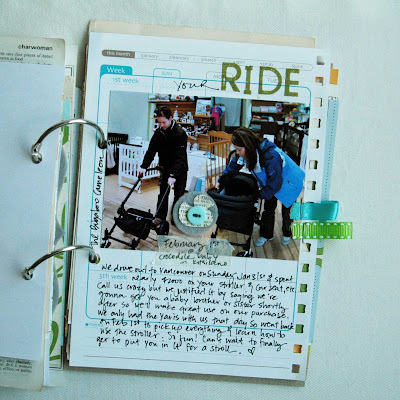 I always like the bigger albums because of all the space (i like to journal a lot, because my reason for scrapbooking is to keep the memory's alive and therefor i use lots and lots of journaling. So if I really MUST have one of your journals that I love,love,love I don't care about the shipment-costs. I like the bigger size ones because I print photos at home. Bigger size means I can put more pictures on a page without making them too small. I really like the 4x6 for a sort of "on the road" travel journal because it is small enough to fit in my purse, but the 6x8 is better for an all around photo book/journal because most of my pictures are 4x6 and will fit easily. Love your journals, looking at buying one! I would prefer the 6x8. I journal, so that size would suit my needs. Thank you for the chance at the giveaway! I prefer the 6x8 size although every journal I purchased from you were perfect in size and had a lot of stuff to work with. Just because the 6x8 gives me more room to place everything this is the one I choose. I love the 6X8 size because I can fit either a 4X6 photo or a couple smaller ones. I love both but would prefer the 4x6 so that it would be a little easier and compact to keep in my bag, but then the 6x8 would be better for including leaflets are bigger collected items to stick in. I also love the 6 x 8 size as well. Little more room to work with. But to be honest whatever size you do I know the journals will be great. I actually love both sizes, but I guess I lean more towards the 6X8 only because I have the flexibility of doing more on the page and using the standard 4X6 pictures more easily. Thanks for the chance to win! I prefer 6x8 because I write a lot when I journal, and add lots of ephemera in my journals. I will unfornunately be concerned by the shipping costs increase because I live in Paris. I like the 6X8 but if you changed I'd probably still buy the smaller size. I like to journal so I like the added space. I think the smaller ones are cuter, but the 6x8 is more practical. It can hold all the little pieces that I gather while away! I like both but think im a bit more partial to 6x8....more room for photos and journaling. Thanks for the chance to win! For me the two measures are good, but I like a bit bigger (usually write a lot), I'm a fan of photography and always I have something to say, which in this case, I prefer to measure 6 "x8" Even rather pay more for shipping (I live in Spain, Europe), I'm not buying something with no value to me, on the contrary! I'm buying art, and this is priceless not even for shipping! I would buy either but would probably prefer the 6x8. Both are great, but i think i would like the 6x8 a little better just because i could use 4x6 photos. That makes it simple and streamlined. More room also for journaling and anything else i would like to add to the page. I bought a 4x6 from u and liked it, but I think the larger size is so much better. I think I'd prefer the smaller journal. 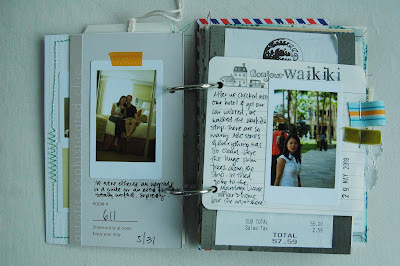 For themed albums & mini books I usually print my journaling so the smaller size works for me. 6 x 8 all the way! Love the feel of that size in my hands! I like them both too but would prefer the 6x8. Love all of your journals though! ooh- tough choice. i too love both sizes. i would say for a bigger trip (multiple cities + trips longer than 5 days) the bigger book. short weekend trips in the small book. I like both sizes, but I could use the 4x6 and print out my phone pics! It's perfect! I love both sizes but prefer to work with 6x8! 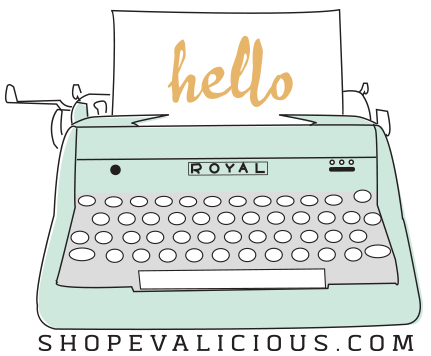 Have you considered doing special orders for those with size/shipping preferences -or- carrying some of each size in your shoppe? Just a thought, Eve! I like the 6x8 size, then you can include two small photos or one big. I love them both, but the 6x8 gives you more journaling space and the room to be creative with embellishing. I love the 4x6 because I seem to get the book done much faster. I think they're both good sizes because it depends on what you want to do with them. I would probably buy the 6x8 though simply because of the extra space. Your stuff is AWESOME! I prefer the larger one because you don't have to print small pictures, you can use 4x6 photos. But they are all adorable and I can't wait to order one! Love both sizes, but if I had a choice I would choose bigger. I like being able to use my 4x6 photos and not have to print smaller. I think I agree with you. I like both sizes. I really loved the Christmas album. I am currently on vacation and getting ready to put together my Travel journal. If I really had to choose, I would probably pick the 6x8 because I like using bigger photos. I like them both, but lean towards the larger one for more journaling room! I like both sizes a lot (maybe you could do both?? ), but if I have to chose, I'd pick the 6x8. Like you mentioned, it allow for more journalling and embellishments, while still maintaining a "mini book" feel. It's also great because it's not too much larger than the 4x6 journal. Another benefit is that some people don't edit and/or re-size their photos and if they could only purchase the 4x6, the picture would take up an entire page. I prefer the 6x8 - it just feels more spacious to me and the is what I need in a journal. I think I would prefer the bigger size, even being international and having to pay for more shipping! I love to write and I also love white space. Because I live in Belgium I prefer the smaller sizes, to reduce the shipping costs. I love both sizes, but right now I'm in love with my little POGO printer and would probably use the 4x6 size more. I would like both sizes and each for different reasons. I like 4x6 because I can just include pictures by themselves...and the 6x8 journal...I can add more journaling and emblishments. I'm a 4x6 girl - love having a whole photo as a page. Also like that 4x6 leaves no waste with 12x12 pages. i guess it really depends on your mood! there are benefits to both! i really love mini pictures right now but i think i'd prefer 6x8. you can do 4x6 pages in the 6x8 and there is more room for journaling and decorations. 4x6 are great for all the go scrapbooking... SO HARD TO CHOOSE! I love the 4x6... so intimate! I like the 6x8 also because it does have room for a 4x6 photo and additional fun stuff! Thanks for the chance to win one! I own a couple of your 4x6 and I love them so much. I don't have a 6x8 YET. Both are great sizes, but I would like to own a 6x8. Definitely the larger of the two. It gives you more options for photo sizes etc. but they are both cute! I love my 6x8 journals that I have. I don't have any 4x6 journals but I still think I'd prefer the 6x8 size. I'm going to have to say 6x8! I am a fan of the 6x8 size ... more space for journaling and 4x6 pics can fit... thanks for thinking of others!! I love both the sizes. If I had to choose just one, I would choose the 6x8. I just feel I can do more with that size. But, I love everything you put together and would support you no matter what. Sizes wouldn't stop me from buying your creations. Thanks for the awesome giveaway!!! I like more the 4x6! Also I live in Spain, so shipping would cheaper! I generelly prefer larger formats. I bought a journal from you in the past and I find it hard to fill it. As for the shipping costs though - I live in Europe and therefore it can be really pricey to ship items here. Therefore I have sustained from ordering things in the past when the shipping costs seemed too high. I love 6x8, well worth the extra shipping cost in my opinion! I think the size is unique. I like the 6 x 8 size cause like everyone said that there is more room for pictures & adding journal notes or mementos to page! Thanks for the giveaway! I have 3 of your journals, and they're awesome whichever size you make them - I love them! I think the 6x8 would work better for a travel mini--just so I could stuff it full of vacation goodness and be able to turn my pictures either way easier.